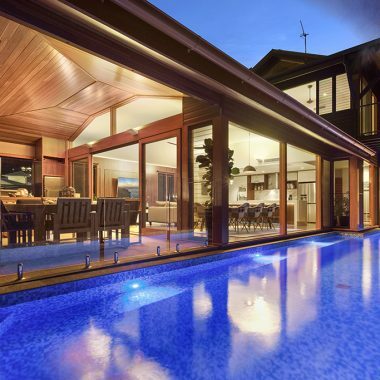 We make high quality, custom made products for the finest homes in the Whitsundays. Cedar Bend Joinery are renowned for top-quality products and traditional techniques to create stunning, custom-made doors. Our team of expert tradesmen are experienced in creating many types of external and internal solid timber doors. We also make many other styles of doors to suit architectural designs and individual customer preference. We have the ability to make beautiful timber windows with a unique style that will suit your building. Whether you require windows for your home or business, timber windows can make an amazing statement and define the character. We create windows that meet all the official building code standards and are crafted to withstand the harsh environment we live in. Glazing windows to specification can be done, whether it’s clear, obscure, safety or coloured, we can do it all! 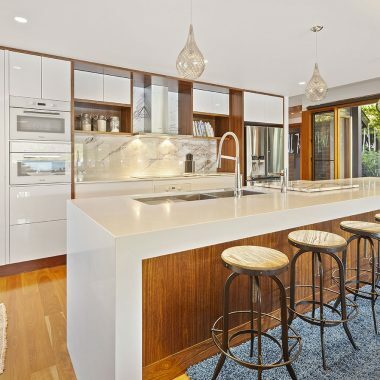 Our custom designed kitchens are found in award winning homes around The Whitsundays and Hamilton Island. We specialise in timber, modern or contemporary, whatever the architect or client has in mind. The kitchen is the centrepiece of a home and our experienced tradesmen pride themselves on creating stunning, practical, highly durable kitchens for you and your family to enjoy. All our kitchens are custom made so you know you are receiving a kitchen of high quality, with much thought going into the design for practicability and to blend harmoniously with the home it is being installed in. The material and hardware used are of the highest quality, again reassuring that stylist look and longevity. Working with Architects, we have become specialists in creating custom-made timber pieces to compliment any amazing home or business design. We have worked with business owners to design one off pieces of work to make their business stand out. Whatever you have in mind, be assured we will work hard to create an amazing, unique timber masterpiece. Cedar Bend Timber Joinery and Cabinets is a family owned and operated business located in The Whitsundays. 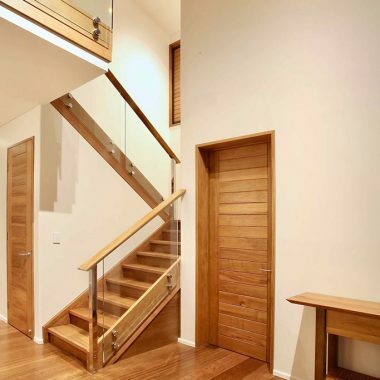 We use the finest of timber from around Australia and Overseas to create high quality, custom-made timber doors, windows, kitchens and much more. Our state-of-the-art workshop is centrally located in Cannonvale, and allows us to fabricate and work on all jobs in the Mackay, Isaac and Whitsunday regions.